Industry loan growth for Dec-18 grew +0.1% m-o-m, +5.3% y-o-y. Fixed deposits (+0.7% m-o-m, +10.5% y-o-y) continue to lead the growth of deposits locally (+0.6% m-o-m, +3.5% y-o-y). Continue to see loan growth moderating into 2019; downside risk from slower trade and regional loans. M-o-m industry loan growth continues to be tepid. According to the latest statistics released by the Monetary Authority of Singapore (MAS), industry loan growth (DBU+ACU) for Dec-18 grew marginally m-o-m by +0.1% (Nov-18: -0.2% m-o-m), as business loans growth (+0.2% m-o-m) offset sluggish consumer loans (-0.1%). Mortgages (+0.1% m-o-m) were weighed down by share financing loans (-15.4% m-o-m). Past peak loan growth – growth continues to be led by business loans. At the peak in Jul-18, industry loan growth stood at +10.0% y-o-y, driven by both business loans (+11.8% y-o-y) and consumer loans (+4.9% y-o-y). This has since moderated to +5.3% y-o-y in Dec-18 (business loans +6.1% y-o-y, consumer loans +2.7% y-o-y). Loan growth continues to be driven by building and construction loans (+18.1% y-o-y), manufacturing loans (+13.5% y-o-y) amongst others. Fixed deposits continue to lead growth of deposits, in part due to attractive fixed deposit rates. For the full year, fixed deposits grew +10.5% y-o-y, outpacing overall deposits growth of +3.5% y-o-y as banks in Singapore continue to offer attractive interest rates as 3MSIBOR continues to trend up to 1.89%, a level last seen in 2008. 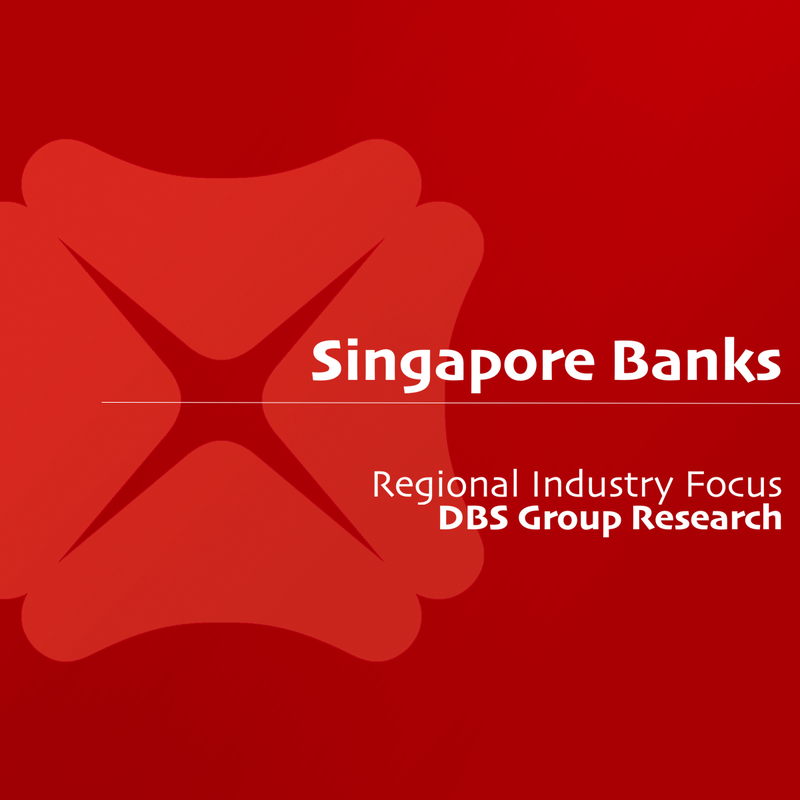 Industry loan-to-deposit ratio stands at 107%, which we believe is mainly attributed to higher loan-to-deposit (LDR) ratio of foreign banks as collectively, the Singapore banks’ SGD LDR as of 3Q18 is c.89%. Slower loan momentum into 2019. Regional loan demand continues to be important in driving Singapore banks’ loan growth, which was higher than industry loan growth reported by MAS in 3Q18. As mortgages’ loan growth continues to slow down with the advent of the property cooling measures, we believe that committed property developments (new developments and enbloc developments alike) remain in the pipeline of Singapore banks’ through at least 1H2019. OVERSEA-CHINESE BANKING CORP (SGX:O39) and UNITED OVERSEAS BANK LTD (SGX:U11) have previously guided for mid-to-high single digit loan growth into 2019 and we posit loan growth for Singapore banks to moderate to c.6% going into FY2019 with potential slower trade and regional loans.